With a superb organization and a beautiful location, the event included conferences of leading researchers and companies from all around the world, as well as workshops and an exhibitors area. This latter is where I spent most of my time, as I love direct interaction with the companies and research centres. Also, in this kind of academic events, compared to trade fairs, you usually have the chance to directly find technical people who are able to explain in deep detail all the ins and outs of their products. The robotics community is not so big yet, so we still know each other. I had the pleasure to meet good friends from companies like Infinium Robotics, PAL Robotics and Fetch Robotics between others. 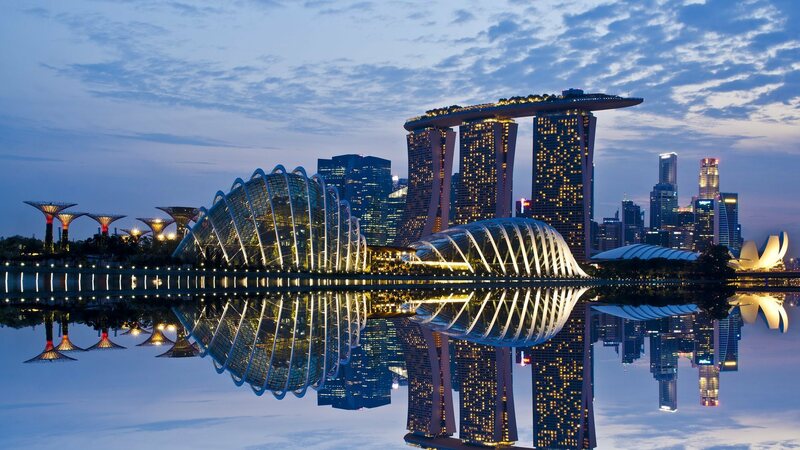 Infinium Robotics is the company in Singapore where I work as CTO. I already wrote about this great company in one of my previous posts: “Infinium Robotics. Flying Robots“. PAL Robotics is a company in Spain well known for having developed some of the best humanoid robots in the world. I have a very good relationship with this companies team since more than ten years ago. Great people, well motivated, well managed, that has been able to look outside of the box and enter with bravery in the world of the robotics warehouse solutions with robots like Tiago or StockBot. Fetch Robotics is also one of the big players in the robotics solutions for warehousing industry. But I met other interesting people and had amazing chats with people from companies so key in this field as: Amazon Robotics, DJI or Clearpath Robotics. At the end of this post, there is a full list of exhibiting companies. I saw interesting technology, like the rehabilitation exoskeletons from Fourier Intelligence (Shanghai), the Spidar-G 6DOF Haptic interface from Tokyo Institute of Technology, the Haptic systems of Force Dimension and Moog, the dexterous manipulators of Kinova, Kuka, ABB, ITRI, the modular robot components of HEBI Robotics, Keyi Technology, the D motion capture technologies of Phoenix Technologies and Optitrack, the educational solutions of Ubitech, GT Robot or Robotis and many, many others, most of them ROS enabled. As I usually do at these events, I recorded a video of the exhibition area to provide an idea of the technologies shown there. 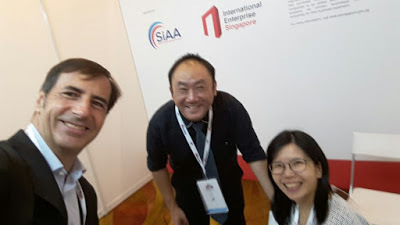 Last but not least, I want to thank my friends from SIAA (Singapore International Automation Association) for their kind friendship and support. They also organized also the Singapore Pavilion in this event.